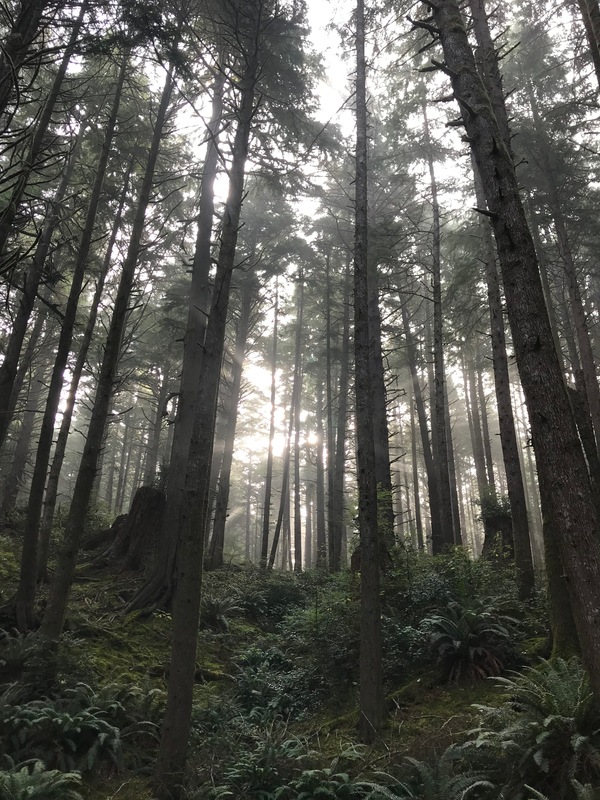 Appreciating the World-Class Conifer Rainforests of the Pacific Northwest | Good News Tree Service, Inc. There are no native conifer (a word meaning “cone bearing”) trees (e.g. pines, firs, spruces, junipers, cypresses or cedars) in all the vast forests of Central Africa or Amazonia in South America. This is because most conifers (except firs) thrive in conditions that flowering plants find especially difficult such as soil low in fertility and soil that is poorly drained. They do, however, grow in some highland tropical rainforests on the hillsides of Southeast Asia where growing conditions are less easy. They especially thrive in cooler climates including extreme northern regions such as Canada, Alaska and Siberia. Conifers also thrive in arid regions beset with wildfires, since the extreme temperatures of fire and hot sun are required to melt the resins that keep the seed-bearing cones tightly sealed resulting in their opening thus allowing the seeds to escape and fall to the ground (Tudge, pp. 96–97, 99, 115, 310–312). 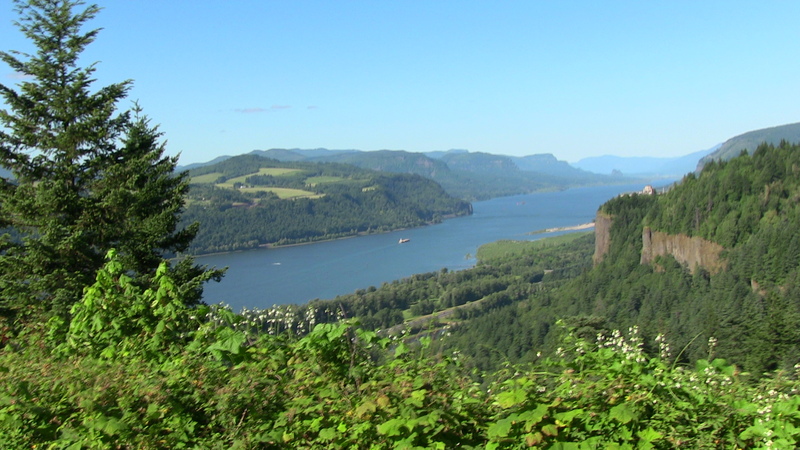 North America’s coastal temperate rainforests appear as a delicate green fringe adorning the western rim of the continent that is only 50 miles wide and extending in an unbroken line from Alaska’s Kodiak Island through British Columbia, Washington, Oregon and California’s Mendinco County—a distance of more than 2,000 miles (Vaillant, pp. 8–9). The mild temperatures within this long, damp corridor between the Pacific Slope and the sea have created what is essentially a vast terrarium. It is an environment perfectly designed to support life on a grand scale, including the biggest freestanding creatures on earth. All of the dominant west coast species—redwood, sequoia, sugar pine, western hemlock, Douglas fir, noble fir, black cottonwood, red cedar and Sitka spruce—are giants of their kind, It is due in large part to these immense trees that the Pacific Northwest support more living tissue, by weight, than any other ecosystem including the equatorial jungle (ibid.). The principal difference between tropical and temperate rainforests have to do with temperature and location. Whereas tropical rainforests or jungles are found along the Equator, in the hot centers of their home continents, temperate rainforests flourish on the chilly, fog-bound margins, closer to the planet’s poles. 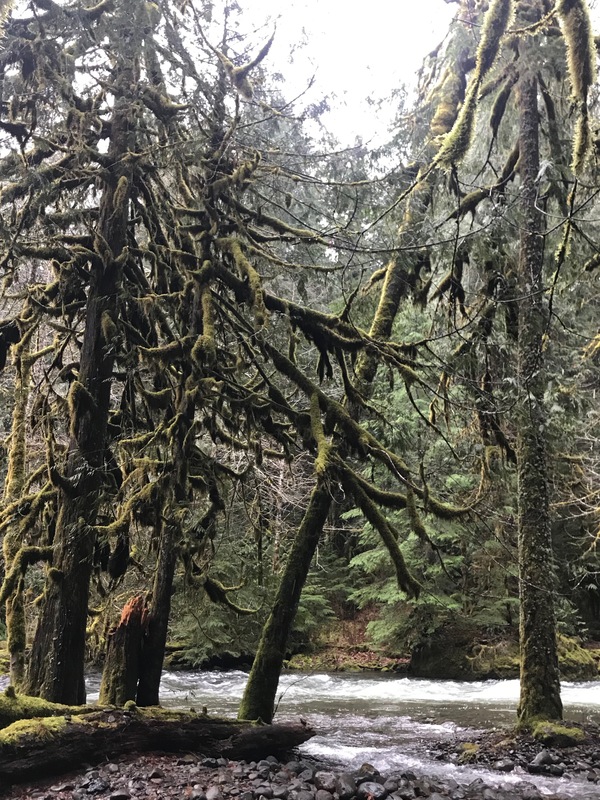 These forests prefer a stable climate that is neither too hot nor too cold, and their ideal setting is a west-facing coastline backed by mountains to trap and channel large quantities of snowmelt and rain. These conditions are found in both hemispheres, but only between 40˚ and 60˚ latitude. 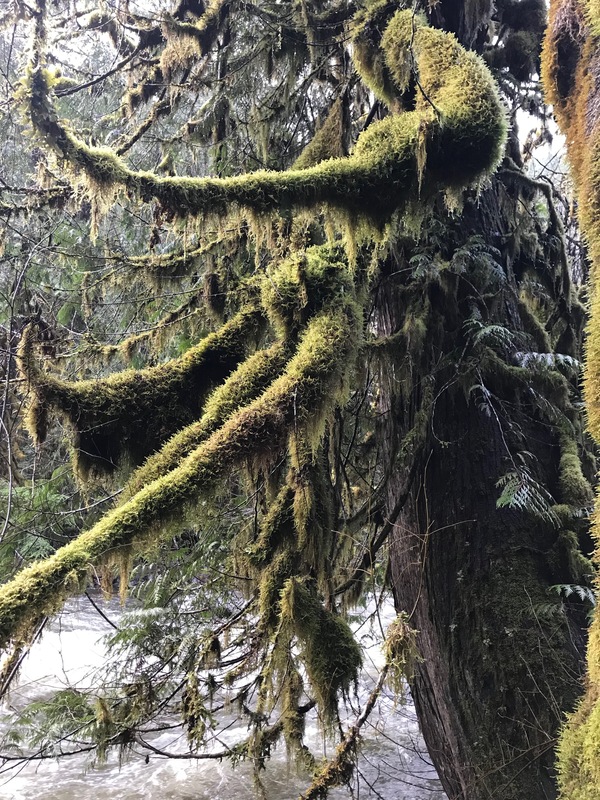 Conifers in a temperate rainforest will grow continuously as long as the temperature stays above 38˚ Fahrenheit, which is one reason they are able to achieve tremendous sizes (ibid.). 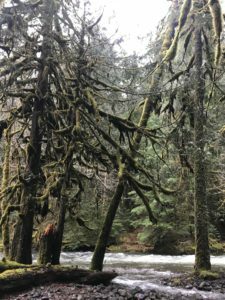 The coastal rainforests of the Pacific Northwest are, in a sense, endangered, and, therefore, should be treasured and preserved. This is because once upon a time, the lush coastal forests of Japan were a trans-Pacific mirror of the Pacific Northwest’s own forests with mighty conifers growing there and attaining huge sizes due to a similar climate. Today, with the exception of a few lone giants still standing in parks or on temple grounds in Japan, those forests are gone. The Highlands of Scotland, a place long associated with barren scape of moorland and heather, hosted a temperate rainforest as well. So did Ireland, Iceland, and the eastern shores of the Black Sea. While the North Sea coast of Norway retains vestigial traces of it original rainforests, Chile, Tasmania and New Zealand’s South Island are the only places left with forests whose flora, feel and character remotely resemble those of the Pacific Northwest, which host the largest such forests in the world (ibid, p. 9). Like giants moving in a slow progression that’s visually imperceptible, the trees of the Pacific Northwest have been marching up and down the coast for eons fleeing southward with each ice age and reclaiming lost territory as the glaciers receded. The current rebound is still underway, such that the Sitka spruce, for example, is advancing northward further into Alaska at a rate of about one kilometer every century (ibid, p. 9). The Pacific Northwest coastal temperate rainforest is teeming with life. It has been estimated that a square meter of forest soil can contain as many as two million creatures representing one thousand species. Andy Moldenke, an entomologist at Oregon State University, calculated what might be found within the area of an average-sized shoe. He determined that a single footstep in one of Oregon’s coastal forests is taken on the backs of sixteen thousand invertebrates (ibid, p. 11). Of all the West Coast conifers, the Sitka spruce seems the most naturally suited to the maritime environment. Its long, narrow geographic distribution mirrors that of the Pacific rainforest, and the species shows a preference for planting itself in the teeth of the gale. Sitka spruce is the world’s largest and longest lived species of spruce; it can live for more than 800 years and grow to heights exceeding 300 feet, which is tall even for a redwood. Despite the colossal end result, their beginnings are almost unimaginable humble. A single Sitka spruce seed weighs only 1/13,000 of an ounce, and yet it contains all the information needed to produce a tree that can weigh 300 tons—about as much as three blue whales. While the species is common up and down the coast, these mega-spruces grow only in a handful of places (ibid p. 16).